Watch the magic happen! New pictures every 10 minutes, see for yourself. Sleep where you ski in our onsite accommodations. On sale now. This year, give the Gift of Sport! Available for $25, $50 & $100. Holiday Mountain Resort is Manitoba’s Number One Destination for Skiing & Snowboarding. Open since December of 1959, Celebrating Best in Snow for 60 Years! Located 2 hours from Winnipeg & Brandon, 30 minutes west of Morden. 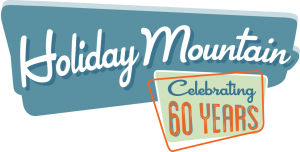 Visit the Holiday Village with Ski-in & Ski-out Accommodations and Live Music every weekend. All the runs at Holiday Mountain are named after people who helped Noel with the creation of the Ski Resort? Sign the Petition for Cell Service! LaRiviere and the Pembina Valley are petitioning MTS Allstream of Manitoba to get extend cell service to the region. Make a Difference! Sign the Petition Today!